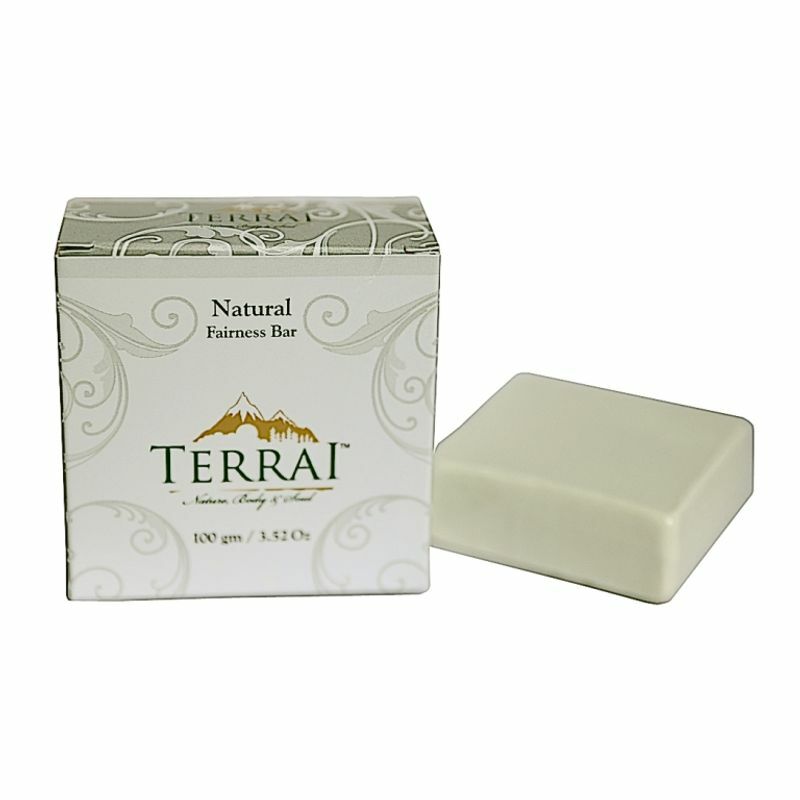 Terrai Fairness Soap for face & body is a unique natural beauty product, specially formulated by blending Essential Oils and Natural Extracts in a natural Coconut Oil base. It is a skin treatment solution containing Zinc Oxide that works as a mild SPF and helps form a protective layer against the harmful rays of the sun. Titanium Di-Oxide helps in natural fairness by effectively removing skin pigmentation, dark spots and blemishes. Specially formulated by blending Essential Oils and Natural Extracts in a natural Coconut Oil base.